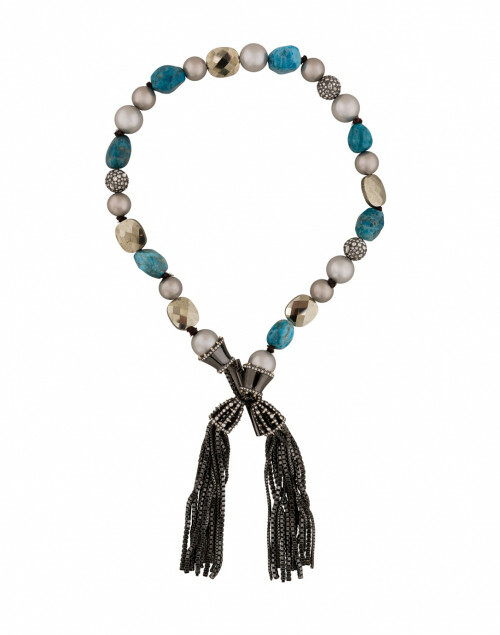 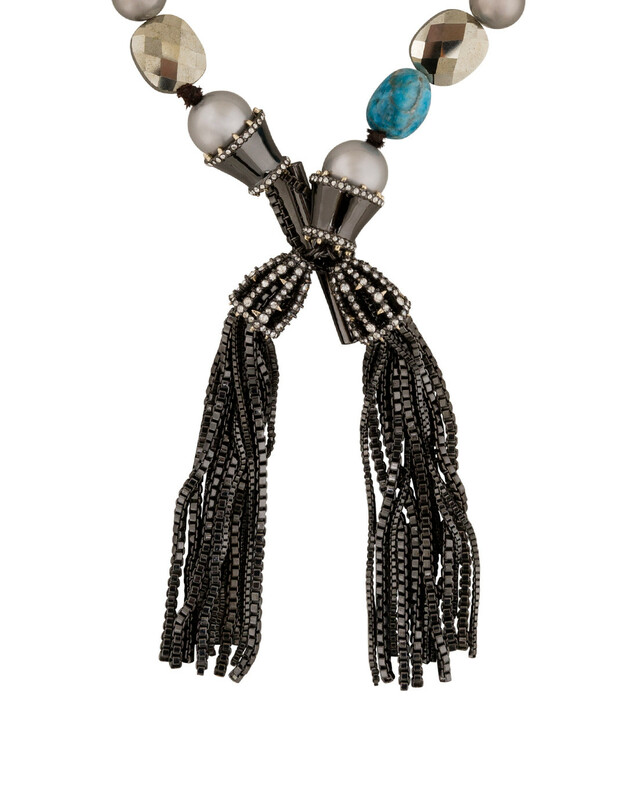 Indulge in a piece of stunning southwestern charm with Alexis Bittar's turquoise and pearl tassel necklace. 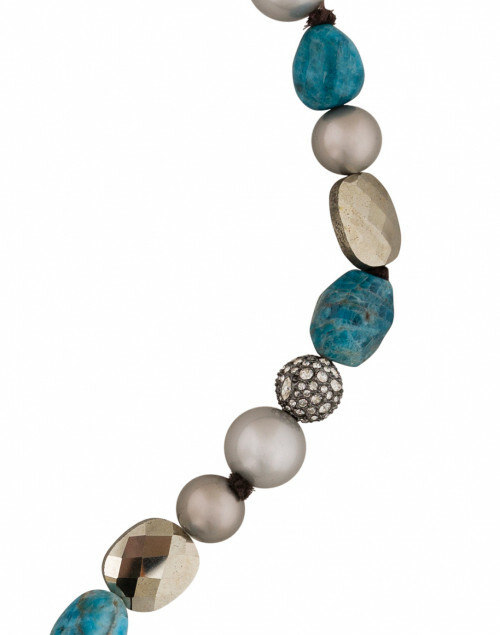 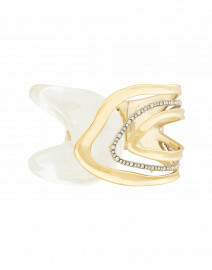 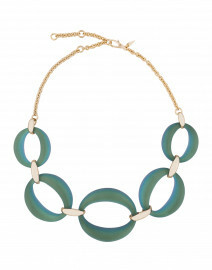 Carefully crafted with Swarovski crystals, shell based pearls, and apatite, this statement piece exudes glamor and style. Complete with a gunmetal tassel trim, this necklace elevates an all black outfit into an elegant nighttime ensemble.